This is your ultimate guide for the launch of the Wii U. The Wii U is launching Nov. 18 which is right around the corner with 23 games ready at launch and plenty more on the way (over 50 already announced). 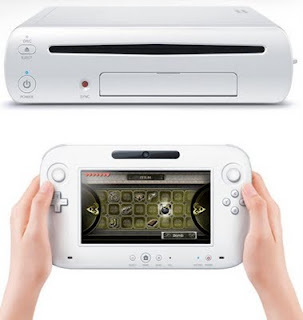 I'm still surprised that there is a lot of confusion out there about this: the Wii U is not just a tablet controller. It's an entirely new console. The stats on this console are up to par or superior to the PS3 and Xbox360. 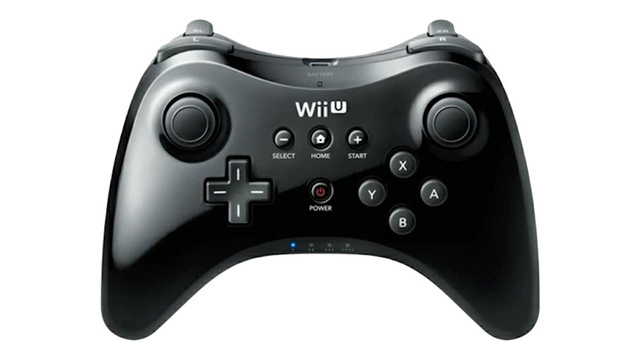 -Pro controller, Wii-mote, and Game Pad (tablet) controller. You're not stuck with using the tablet controller or a wii-mote. Also, games are only going to be designed around needing a single game pad tablet controller so there's no need to worry about purchasing extras (the one that comes with the system will be enough). You'll probably want to pick up a Pro controller which you can take a look at here: (Pro Controller) Currently it's boasting an 80 hour battery life out of a single charge which is incredible. The PS3 and Xbox360 controllers are around 25 to 30 hours to give a comparison. The Wii U tablet also allows games to support up to five-players. The biggest use of the game pad tablet controller is to allow asynchronous gameplay. It's an experience you won't be able to find anywhere else. To give an example, think of Pac-Man. Imagine that the person holding the tablet plays as Pac-Man while the other players are the ghosts. This allows players to have a different experience while playing the same game. ZombiU is using this to allow one person to summon and direct zombies while the other player controls their character trying to survive the zombie horde. Penny Arcade already gave the perfect example that we hope becomes a reality: Dungeons and Dragons U. Basically allowing a group of players to have a co-op experience in an RPG while the player with the tablet is the DM. We just need Bioware and Nintendo to join forces and make this a reality. Something that doesn't get mentioned very often is that the tablet screen is like a mini-tv. If you wanted to play a single-player game and your significant other wanted to watch the TV, you wouldn't have to suddenly stop playing. You can just play on the tablet screen while they're watching cable on the TV simultaneously. This is something that Nintendo struggled with on the Wii but this time around they already have a ton of major titles being released with exclusive content to give incentive to purchase it on their console and third-party support is going to continue throughout the consoles life cycle. That means every future third-party game will be released for all three major consoles instead of only on the PS3 and Xbox360. Some notable examples: Batman: Arkham City: Armored Edition, Darksiders 2, Assassin's Creed 3, Call of Duty: Black Ops 2, Mass Effect 3 Special Edition, Ninja Gaiden 3: Razor's Edge, Dragon Quest X, Monster Hunter 3 Ultimate, etc. etc. These are some of the major titles that have already been announced with a few details on why they're awesome. As you can see from the video above, one person controls the zombie horde with the Wii U tablet controller while the other player is thrust into a true survival horror experience. This is a game built around the idea of the Wii U controller and they prove it works here. For all the Resident Evil fans that feel betrayed that the game series is no longer about survival horror, don't you worry, Nintendo is waiting with open arms. Bayonetta was an incredible action game that stood alongside Devil May Cry, God of War, and Ninja Gaiden at the top of the class. Strangely it didn't sell well enough to warrant a sequel but thanks to Nintendo stepping in and offering to publish this, it will become a reality. Thank you Nintendo! The beloved real-time strategy survival game is finally back! You'll be using the tablet to control and direct your formations of Pikmin. Here's some gameplay footage: http://www.youtube.com/watch?feature=player_embedded&v=WxWIvaD2XQI#! The original Scribblenauts was insane in that it allowed you to type out any noun and it would appear in the game and interact with the world. Even Cthulhu could be called in to help you solve a puzzle. Then the second game added adjectives. You could make a werewolf car for crying outloud. The possibilities were incredible! Now, Unlimited allows the players to make their own creations and share them with a full console experience to boot. It's essentially New Super Mario Bros. Wii but with the added fifth player using the tablet to make platforms to help the others safely make their way through a stage. It's not as easy as it sounds. Wario mini-games as expected but all of them are tailor-made to work with the Wii U's asynchronous control scheme. If you're looking for a crazy fun party game then this is where it's at. This is another platformer like Super Mario Bros. but it manages to use the tablet in more interesting ways. The player will be doing a variety of tasks to help out the other four players get through stages. Super Smash Bros. doesn't need any introductions. It's one of the most ridiculously fun fighting games imaginable and it can sell a console single-handedly. Be prepared for the next installment. Zelda is in the same boat as Super Smash Bros. It's pretty much a guarantee that the game will be awesome and a must-own title. We're still waiting on details of other third-party exclusives as well as the rest of the Nintendo staples such as Metroid, Star Fox, Kirby, F-Zero, Fire Emblem, Animal Crossing, Donkey Kong, and Pokemon. Nintendo is off to a good start. Let's hope that they push themselves to do even better.